While religious life has undergone a stark decline in the past 50 years, both in number of religious and the increasing age of many communities, there have been some signs of rebirth. One such sign is the Sisters of Our Mother of Divine Grace, a new community of women religious founded in 2010. Like the Marian Sisters of Santa Rosa, the Sisters of Our Mother of Divine Grace were once part of the Congregation of Mary Immaculate Queen (CMRI), a group of sedevacantist nuns in Spokane, Washington who do not accept the legitimacy of popes since Pope John XXIII. The new community is part of the Diocese of Saginaw, Michigan, and resides at a parish in Port Sanilac, about 100 miles northeast of Detroit. Sister Mary Philomena Fuire, superior of the Sisters of Our Mother of Divine Grace, recently spoke with CWR about her community. CWR: How did you first enter religious life? Sister Mary Philomena Fuire: I’m from Toledo, Ohio, where I was educated in the Catholic faith by the Ursuline Sisters. As a teenager, I consecrated myself to the Blessed Mother using the method of St. Louis de Montfort. When I completed high school, I began looking for a religious community I could join. I found there were not many of them out there. I met a sister who belonged to the CMRI traditionalist community [and] who wore the habit. The sisters’ apostolate included praying the Rosary for world peace, which was attractive to me. Their chief work was teaching, which also appealed to me. I joined the community, not realizing that they were not in full communion with the Church. It was a slow process coming to realize that I was, in fact, outside of the Church. I recall in 2005, when Pope John Paul II died, the entire community watched his funeral on television. It was very moving to me, even though I did not follow the Magisterium of the Church at that time. When our community finally gained access to high-speed Internet, I thought, “I bet the Vatican has a website.” It did, of course, and I began reading the Vatican II documents themselves, rather than just other people’s commentaries on them. I also remember reading Pope Benedict’s Deus Caritas Est ["God is Love,” promulgated on Christmas Day 2005], which was the best Christmas present anyone could ever receive. I kept asking myself, “Why are we not with Rome?” When I entered, I thought we were preserving the traditions of the Church. When I realized that we were not with Rome and were not going back, that was my walking card. CWR: Are you still in contact with members of your former community? Sister Mary Philomena: I am in touch with the other sisters who left the community when I did. I do also have contact with the other sisters who chose to remain in my former community. They are interested in what we’re doing, and they also ask about specific Church teachings. When we returned to full communion, the authorities of my former community put a veil of silence over everyone. We weren’t allowed to speak with each other, or share our reasons as to why we did what we did. 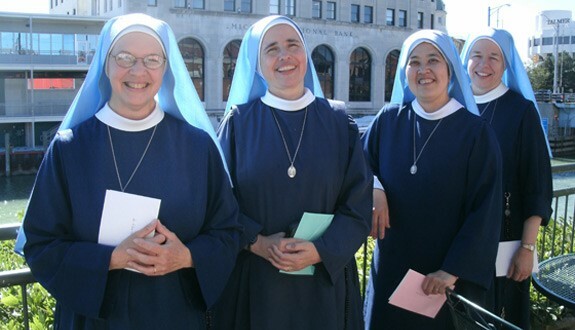 CWR: Is there any chance more of these sisters will return to full communion? Sister Mary Philomena: I don’t know, but we certainly pray for that every day. CWR: How was your community, the Sisters of Our Mother of Divine Grace, founded? Sister Mary Philomena: When we first returned to full communion, Bishop William Skylstad, who was head of the Diocese of Spokane at the time, told us that we had to be free to make a decision as to what we wanted to do with our lives. We had the opportunity to visit other established communities, including the Missionaries of Charity, the Sisters of Mary, Mother of the Eucharist, and the Carmelite Sisters of Alhambra, California. We wanted to live with a community from whom we could learn. Previously, we had had little contact with women religious outside of our own community. We loved meeting these other sisters. It was absolutely fantastic, and exhilarating to experience life in each of these convents. We realized that much of what we had done previously was right, such as living in common and praying together. Since my previous leadership had strayed from the Magisterium, I wanted to receive more formation in regard to religious life. Three other sisters and I went to stay with the Religious Sisters of Mercy in Alma, Michigan. They’re involved in health care as well as teaching. It was a wonderful experience. We really bonded with the Church, and it gave us the desire to continue our religious life in the Diocese of Saginaw, Michigan. We chose to found our community with Our Mother of Divine Grace as our patroness, because of our Blessed Mother’s fiat, her acceptance of what God asked of her. We want to follow her example, and unify our will with the divine will. CWR: What is your community’s work or charism? Sister Mary Philomena: As we came from a community that is separated from the Magisterium, we believe we’re called to the service of unity in the Church. We’re devoted to prayer, particularly Eucharistic adoration. We also have preserved our Marian spirituality. Our primary work is catechesis; we teach the faith from cradle to grave. We live at St. Mary, Our Lady of Sorrows Church, which is part of Ave Maria Parish. Because of our diocese’s priest shortage, we’re three parishes which have been merged into one. We don’t have a resident pastor; we’re served by a retired priest from Lexington, which is about 10 miles south from our church. He may be retired, but we keep him busier than ever! Saginaw has seen the consolidation of many parishes, due to our shortage of priests. I believe we’ve been quite effective, and we’re happy to be here. CWR: What is the Diocese of Saginaw like, and what sort of welcome have you received? Sister Mary Philomena: Saginaw is a big city, but much of the rest of the diocese is rural. Our population has been moving around, resulting in us having fewer Catholics. We also have few religious sisters, so the people have really welcomed us here. Because we are not a large community with a priest-chaplain of its own, we have to drive to a parish where a priest is celebrating Mass. We say a public Rosary while we are there. The people love having sisters in their parish. They love our habit. It has brought more people to the church for Mass. They like seeing us, and we like being a visible presence for them. For those who live nearby us, we do a daily Eucharistic holy hour in our convent chapel. The laity are welcome to come pray with us. The bishop had once thought of moving us to another location within the diocese. That didn’t go over very well with the community! CWR: What is the biggest challenge in launching a new community, and what are your greatest needs today? Sister Mary Philomena: Our greatest challenge is beginning again. Most of us had been in religious life for 30 years, and hadn’t planned on starting our own community. So, we had to totally abandon ourselves to God’s plan. Our greatest need is to grow, to have vocations, to have women interested in taking a risk for Christ. We need women interested in being a religious presence in local village communities. I hope that 10 years from now we’ll have a presence in many parishes in our diocese, as well as expanding into other areas. CWR: Tell me about your work with non-Catholics. Sister Mary Philomena: Part of our charism is responding to Our Lord’s call for unity. We’ve held prayer services with non-Catholics and vacation Bible schools with Christians from other churches. CWR: Is it your desire for them to become Catholic? Sister Mary Philomena: If they want to receive the Eucharist, yes. In giving a talk to a youth group, someone asked about other religions. There was a girl there who was a Methodist. Protestants have their communion services, but don’t have our understanding about Christ being present in the Eucharist body, blood, soul, and divinity. This gave me a great opportunity to share the Church’s teaching with someone who is not of our faith. There is another non-Catholic woman I know who likes to visit our meditation garden. It led to a discussion with one of our sisters about the Real Presence of Christ in the Eucharist. The woman responded that only in Catholic churches did she feel the presence of Jesus in the church, and that she was ready to believe as we did. There are many people like her ready to believe, but who just need to be taught. This gets back to the primary focus of our community, catechesis. CWR: How should parents introduce their daughters to sisters and the idea of a possible religious vocation? Sister Mary Philomena: Some religious communities have camps, come and see weekends, catechism classes, or family vocation nights. Many of these gatherings are geared towards teens and young adults, but it’s a wonderful idea to bring smaller children along. It’s never too young to foster a religious calling. Many schools do a good job at presenting young people with various career opportunities; we also need to inform our young people that a religious vocation is a way of life as well. 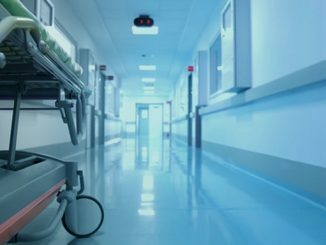 And different religious communities have different charisms: some teaching, some related to heath care or involved in other activities to help the needy. Young people need to understand that they can give their lives to Christ and that it is meaningful. The Diocese of Duluth, Minnesota, for example, sponsors an outstanding vocations camp, one for boys, one for girls. Various communities are invited to participate, and the children can speak to the vocations director. Many vocations can be produced by camps like this. CWR: What do you think will bring about a renewal of religious life in the United States? Sister Mary Philomena: I recall that just before his retirement, Pope Benedict said that there were two versions of the Second Vatican Council: 1) what it actually said and 2) what the media said that the council said. If we return to the authentic meaning of the Second Vatican Council, we’ll see a renewal in religious life. In the 50 years after the Council of Trent, there was much confusion about what the council said. I think we’re seeing the same thing with Vatican II. I think it comes to us growing in our love of Christ, and sharing that love with others. Blessed John Paul II, for example, reached out to young people with his participation in World Youth Day. He ignited a fire, and many young people were willing to give their lives to Christ. Pope Benedict tried to do the same with his Year of Faith. I think this offers us a beautiful hope for our future.